Note: You can enter this giveaway three (3) times per e-mail address per day. Deadline is 11:59PM ET 5.25.18. When that afternoon slump hits and you’re ready to reach for that cold leftover coffee, just stop and brew it fresh. 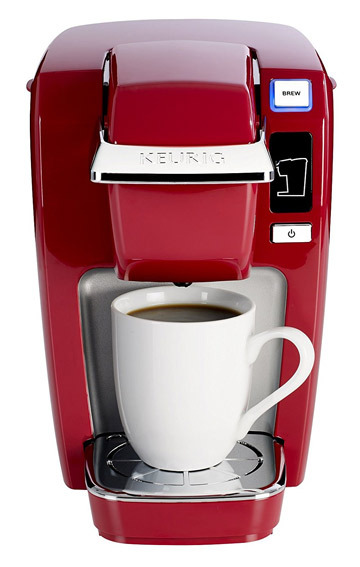 It’s easy with the Keurig Single Serve Coffee Maker. This machine brews fresh, hot coffee, tea, hot chocolate, and other beverages right at your desk or other small space, right when you want it. The compact K-Cup brewer allows you to choose from multiple brew sizes, just add the exact amount of water you need and in about two minutes, you have a great tasting drink to accompany a piece of Lemon-Scented Pull-Apart Coffee Cake. It’s the perfect afternoon pick-me-up. NO PURCHASE NECESSARY TO ENTER OR WIN. Void where prohibited by law. Open to legal residents of the 50 U.S., D.C. and Canada (excluding Quebec) who are at least eighteen years old at the time of entry and have internet access. Begins on 3.29.18 at 12:00:00 a.m. ET and ends on 5.25.18 at 11:59:59 p.m. ET. To enter the giveaway, submit your full name and email address on this form. Odds of winning this giveaway depend on the total number of eligible entries received. Only three (3) entries per email address per day. Sponsored by Leite’s Culinaria, Inc. For more information, visit our Official Rules. For a list of winners, check out our Very Happy Winners page. Be sure to add giveaways@leitesculinaria.com to ensure notification if you are the winner.